Do you need to store your email communications with contacts, vendors and customers in the NAV database? select in NAV every Outlook folder and directly see email messages of this folder. 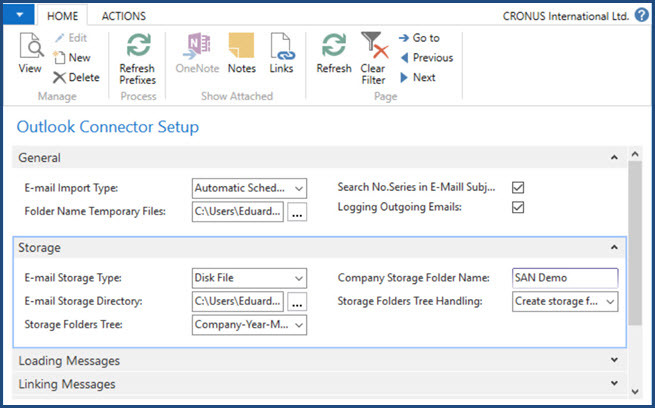 select Outlook email messages and attachments, link to NAV Contacts, Opportunities, Jobs or Vendors. import a single or multiple email messages and attachments in NAV database or save on the file system. create your Purchase Invoices directly from your import-screen. You can link emails to Contacts, Opportunities, Jobs, Purchase orders and invoices. You can save email attachments as documents in Document Library.